This crisp and complex wine has been crafted by Feudi using native Falanghina grapes from Campania and small batch production methods. Some lees ageing gives added depth to the perfectly balanced flavours of orange peel,stone fruit,acacia flowers,and leaves a deliciously long fresh finish.Enjoy with simple seafood dishes such as fish pie.Store in a cool,dark place. Crisp and complex white wine. Some lees aging gives added depth to the perfectly balanced flavours of orange peel, stone fruit, acacia flowers, and leaves a deliciously long fresh finish. Enjoy with simple seafood dishes. Ancient variety, named after the name of the cultivation technique (Falanga was a long wood support for vines growing over trees). 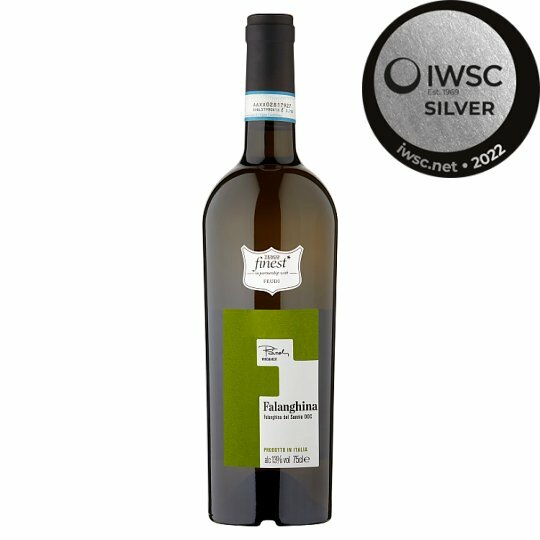 In the ‘30s, a group of enologists crowned Falanghina as one of the best Italian grapes, largely recommending its dissemination for the best production in the principal wine zones of the south.